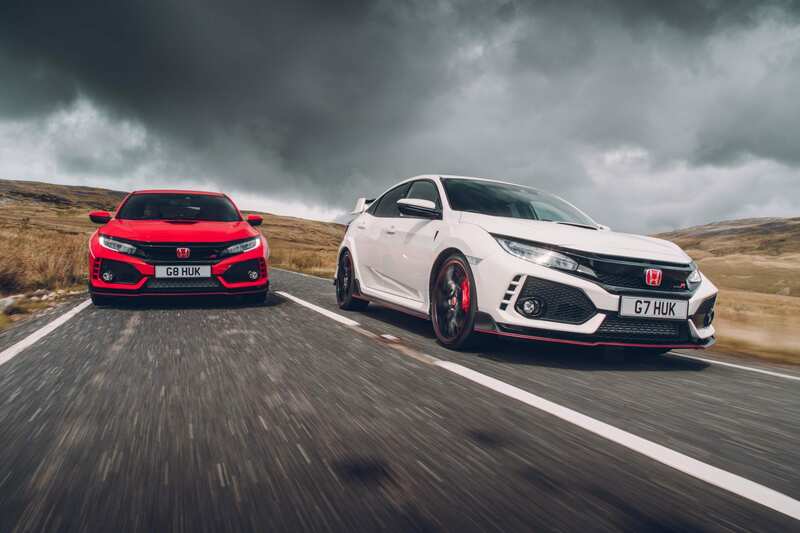 If the latest Honda Civic Type R is going to be worthy of bearing what is, quite frankly, a legendary badge, it needs to tick a few boxes in my opinion. Type R status comes with certain responsibilities, you see. A Type R needs to be a bit mad, first and foremost. And you can tell just by looking at the latest Civic to wear the badge that it’s no shrinking violet. It also needs a relatively accessible price – £31,500 is pretty reasonable, another box ticked. And it needs to be practical, reliable and great to drive. More on that later. So let’s start with the madness of this newcomer. And, as I mentioned, it’s in abundance here. To be honest, I’ve never been sold on the looks of the newcomer. It’s as if it’s moved away from the small hatch origins and it’s now a four-door only hatchback which looks like it’s treading a line somewhere between a coupe and a small estate car. And then there’s the gaping vents and that unapologetically large rear spoiler. That’s before we come onto the giant splitter at the front and the huge rear diffuser, with a Ferrari F40-style triple-exit exhaust. It’s largely all functional though. Honda says this is the first hot hatch that actually creates downforce, rather than reduces lift. I suppose there’s a geek somewhere itching to test the theory that, at a certain speed, you can drive the Type R upside down. It won’t be me. And those exhausts are in triplicate to cut down on a boomy noise at cruising speed, I’m told. It actually works. 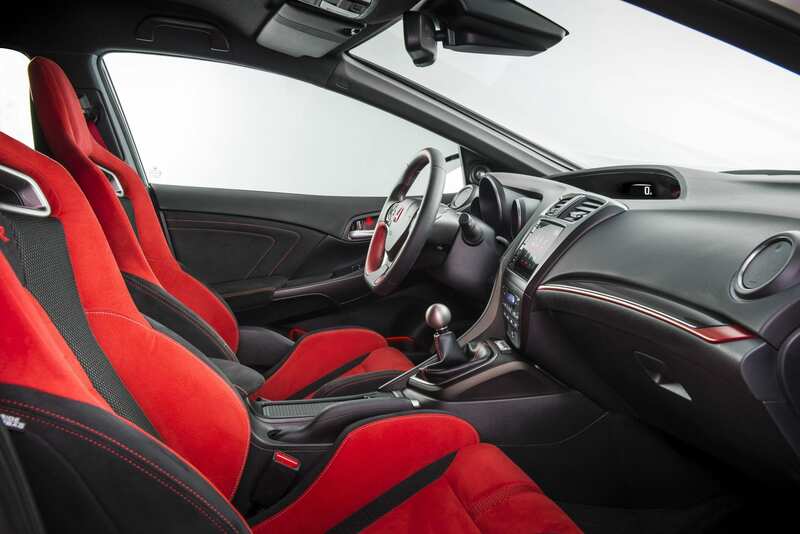 The interior is the best I’ve seen in a Type R. The seats are justifiably sporty, the driving position and pedals are spot on, the materials are lovely and the gearshift action… Well, Honda always gets this right, but this is better than any I’ve used. Shame the metal gearstick is uncomfortably cold to touch, but I can forgive that. Visibility has always been something of a moot point in recent Civics and this newcomer isn’t great, but thankfully you now look under that rear wing than through it. And that does make a big difference. While on the subject of madness, we need to talk about the engine. It’s actually only about 10bhp up on the last Civic with 316bhp and it has a turbo as well as the legendary VTEC valve timing system, but it’s an absolute animal from about 3,500rpm all the way up to its 7,000rpm redline. On the flipside of all this, the Type R is surprisingly comfortable and refined. In normal, non bonkers modes, it rides really well and can return fairly decent fuel economy, even on the happy side of 40mpg if you work really hard. Of course, it won’t be long before you find yourself slipping it back out of sedate modes and into the lunatic “+R” mode, which turns everything up a few notches and unleashes the beast. In this mode the suspension is firm, the steering is sharp, the handling becomes race-car like and the throttle response is fabulous. 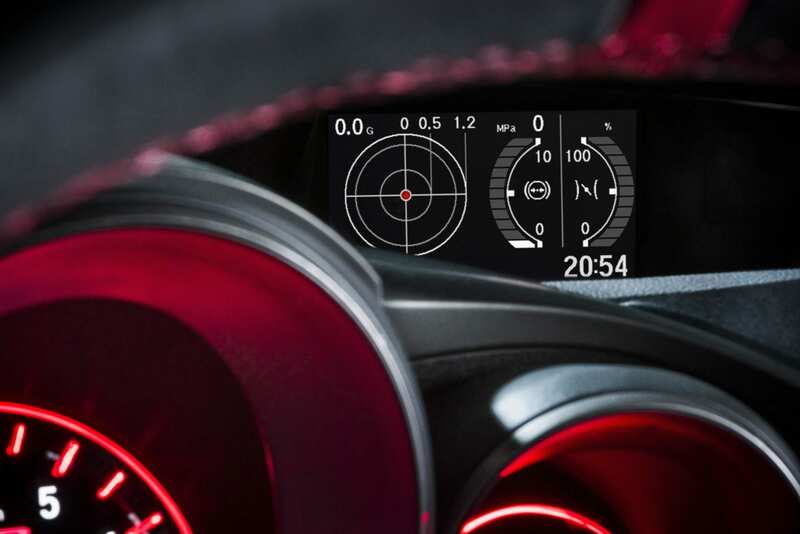 It even has some electronic wizardry to match the revs when you change down the gears, which eliminates the need for heel and toe. It’s fabulous and thrilling and turns every journey into an aerobic workout. Honda has put a lot of work into making sure torque steer is reigned in, and that the suspension can cope with the car being flung around – but what I actually find more impressive is its day-to-day ride. 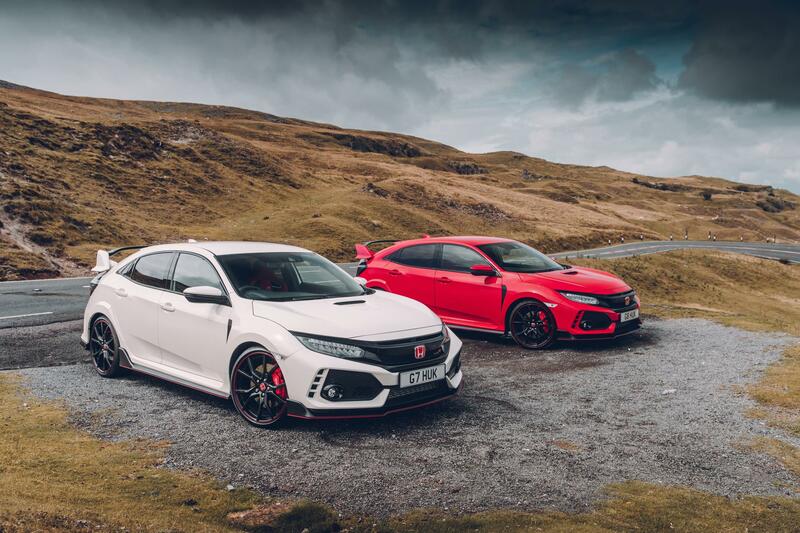 The new comfort mode soaks up bumps brilliantly – far better than its jarring predecessors – and it means the Type R is a thoroughbred sports car you could happily live with every day. The extra interior space afforded its new body shape and its decent boot add to the practicality. It’s not all good news though. The infotainment system isn’t as good as those found in some of its competitors, the instrumentation is complicated could be better thought out and while 7,000rpm sounds a lot, in Honda terms, it really should rev a bit higher; gearchanges seem to come disappointly soon when you’re really giving it the beans. That said, as an overall package it honestly is hard to fault the new Civic Type R. Equipment is extremely generous, it’s surprisingly practical, remarkably refined and ticks all the boxes a motoring nutter would want ticked. So it’s certainly worthy of the Type R badge, that much is for sure. But, if you can live with the divisive looks, it’s also one of the best hot hatches on the market at the moment. And that’s high praise indeed.